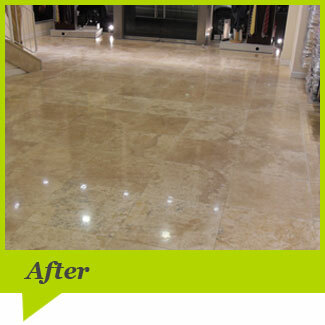 Travertine is a sedimentary rock which is formed by transformation of limestone. It appears with holes which can vary in size from tiny pin pricks to larger irregular voids. During the tile making process the holes can be filled or left unfilled depending on the desired effect. Similar to marble and other calcite floors, travertine can be susceptible to etching and we would recommend a regular cycle of maintenance and where necessary restoration. 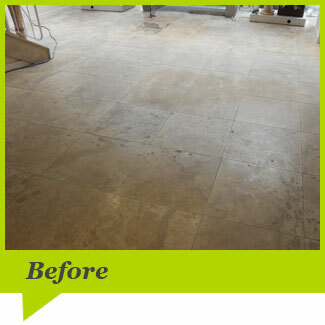 See below for examples of a restored travertine floor.